Tennis great Serena Williams has added another title to her name. She is now a Mrs.! Williams and Reddit co-founder Alexis Ohaninan, the father of her daughter, got married Thursday. The ceremony was held in the Contemporary Arts Center in New Orleans, where according to reports, the guest enjoyed the “Beauty and the Beast, themed matriomony. It was a full out star-studded event! Among those who attended the ceremony; Venus Williams (of course), Beyonce’, Kelly Rowlands, Eva Longoria, Kim Kardashian, as well as Ciara and her hubby Russell Williams. Word on the street, Serena did not allow the guest to take photos while they tied the knot! But, we got our hands on a few photos of some of celebs’ arrival . It was like a party on the street! Another quick note! Although we have not found a photo of Serena’s gown, we may have a quick peak of what were on the bride’s feet……High topped, wedged, Nike Dunked sneakers!!!! Serena Williams and Alexis Reddit have been dating since 2015. They were engaged last December and Serena gave birth to their little girl not quite three months ago. 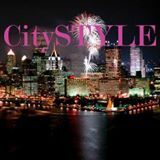 Next Next post: CitySTYLE’s Holiday Gift Guide!